Fabrigami is a project that seeks to exploit both the methods of origami forming, as well as the structural performance of origami geometries to create a folded fabric ice shell. 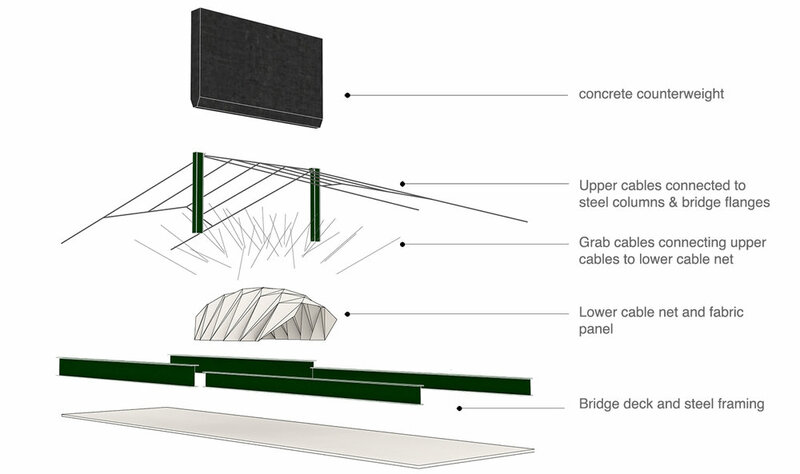 This was achieved through the use of flexible and pliable construction materials (fabric and water) that was then rigidified (frozen) to arrive at the resulting form. Ice bloom was the official Warming Hut representing the Faculty of Architecture at the University of Manitoba at the Warming Hut Exhibition held at the Forks in Winnipeg. 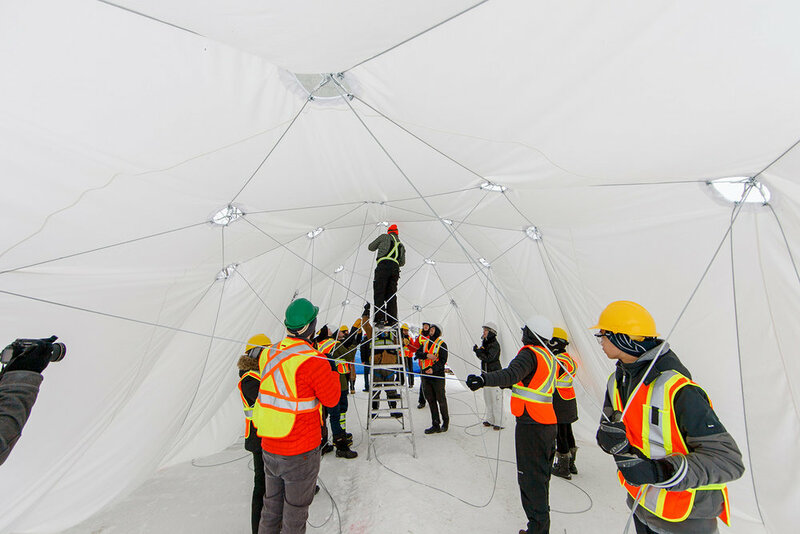 The project resulted in a free-standing fabric formed ice shell (0.6 - 3 cm thick) that supported 2,195 kg. of dead load, spanning 11.5m x 6.6m x 3.2m.